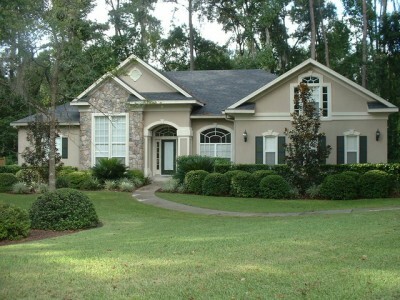 Your home is probably the largest, most expensive single purchase you will ever make. It’s probably your single biggest investment, too. And to think that it can be heavily damaged by little, hard working insects – that’s just scary. You need to take steps to protect your home before termites can damage it. A good place to start is to educate yourself on the options you have available. 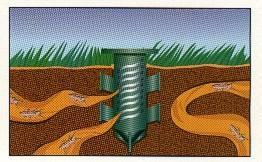 Here, you will learn about Termidor versus termite bait stations. We feel Termidor is the in termite control. The “Transfer Effect” of Termidor Controls the Whole Colony in 3 Months or Less! 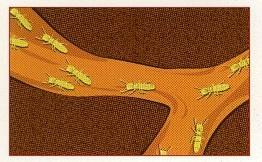 Termites feed each other primarily by passing food from mouth to mouth. They also groom each other, cleaning off soil microbes and other particles. As they feed and groom, they repeatedly come into contact with each other. Termidor takes advantage of these social behaviors. Through digging, termites will ingest Termidor. Along with this, they will unknowingly pick up Termidor and carry it back to the colony on its body. Eventually, every termite that one feeds or grooms will come into contact with the Termidor, and will also become a carrier, contacting and “infecting” others. This is what we call the “Transfer Effect”. Here’s another unique point about Termidor. It is slow acting. It doesn’t immediately kill the termites that contact it. This allows the “infected” termites to continue their normal routine of feeding, grooming, digging and so on, transferring the Termidor to a large number of other termites in the colony. All of this results in unparaleled termite control. Seven years of test data show Termidor to be 100% effective. And it provides 100% protection in 3 months or less. That’s 2 to 6 times faster than bait systems! When your home is treated with Termidor, a “Treated Zone” is established around the home. This is done using proven, time-tested techniques that Pest Management Professionals are very knowledgeable about and familiar with. This “Zone” starts working immediately. When a Bait System is installed around your home, you have monitors placed every 8 to 10 feet around the house. On most systems, there is no active ingredient used yet. Nothing but wood “monitors”. That means that all you have protecting your biggest investment at this point is plastic and wood every 8 to 10 feet. Bait will not be added until there is termite activity in one or more of the stations. Yes, termites will still be damaging the home until the bait system feeds them enough bait, which can take months or years. Most bait systems work by recruitment. 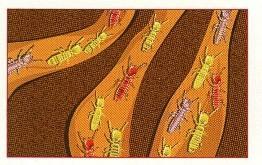 This means that termites eat the bait and return to the colony to recruit others to eat the bait also. 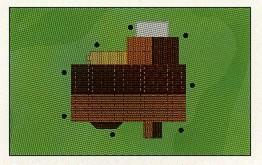 However, this process does not start until there is termite activity in the monitoring station(s). This, alone, can take months, even years. 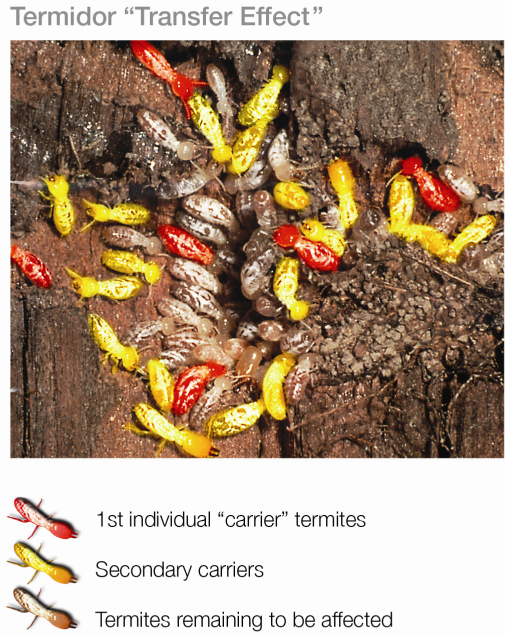 Termites wander into the treated zone and pick up the active ingredient. Already, some are “carriers” that are beginning to “infect” others in the colony. No termites have wandered into the monitoring stations yet. Termidor has been transferred to many in the colony. Many have already died, but the “Transfer Effect” continues to those who have not even gone into the treated “Zone”. Still, there may be no activity in the stations. Just termites eating your home. 100% Control! No more termites to damage your home. 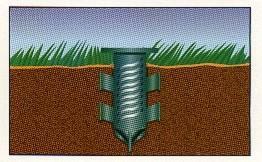 And the Termidor is still in the soil around your home providing protection against any new invading termite colonies. Termites begin to find the monitors at this point. Well…Maybe? [NOTE] Unless there is sufficient activity at the time of inspection, the installer still might not introduce the “active” bait matrix yet. 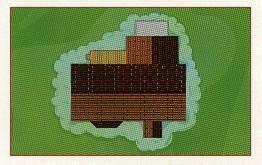 Even if there is enough termite activity to bait, termites are still feeding on your home. Termidor does not require any special new equipment to apply. The same equipment PCO’s have been using for years is all that’s required. Termidor is not affected by debris, dryness, insects, or fungal decay. The odds of termites wandering into a Termidor zone are much greater than wandering into a bait or monitoring station. 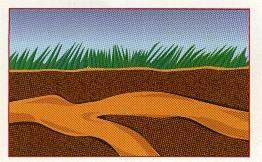 Termidor is effective with all types of soil, in all kinds of climates, and on many species of termites. After considering the facts surrounding Termidor versus termite bait systems, are you still not sure? Give us a call!